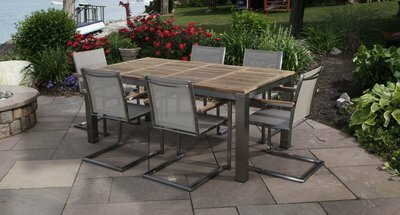 Our outdoor dining options offer multiple sizes, materials, and color schemes to compliment your deck or patio. 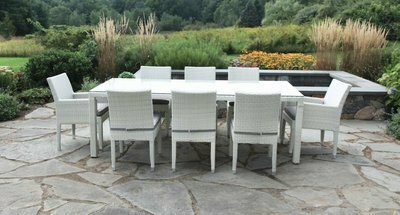 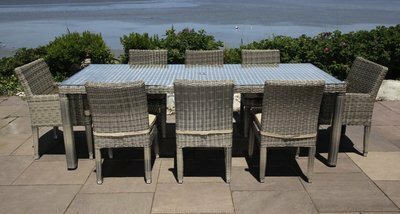 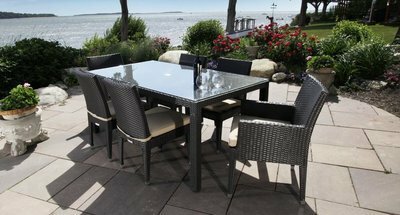 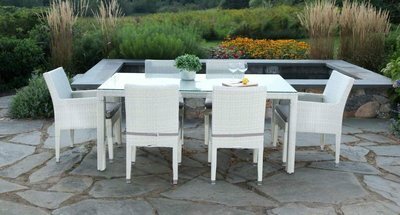 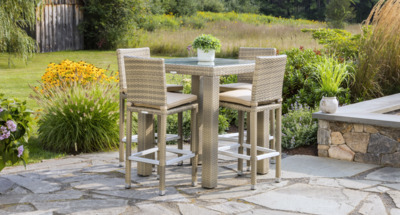 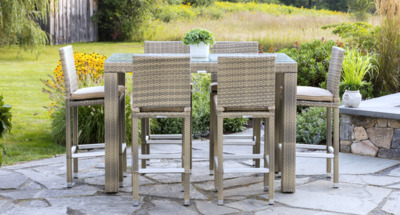 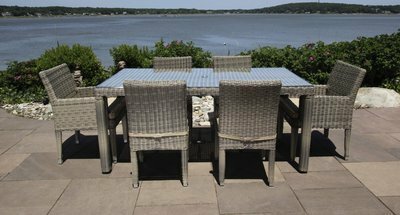 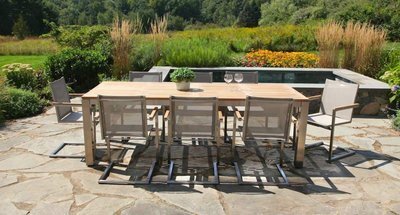 Each dining set matches multiple outdoor lounge collections. 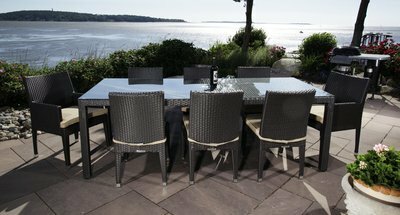 While the Cypress, Corsica and Ibiza feature tempered glass tops, the Bali is topped with Grade A teak wood. 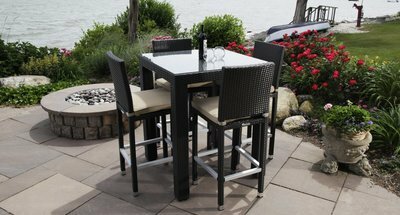 Pick your favorite and match it with a lounge set to fully equip your backyard for outdoor entertaining!